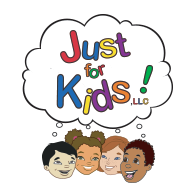 Fun and entertainment are only one part of Just For Kids. Safety is as important to us as it is to you. You can trust us to pick you child up at school and get them safely to our child care center. Serving most schools in the Chicago area, you can trust our transportation to be there on time and transport your child in a safe and efficient manner. Once with us, we will take your child back to our child care center at Just For Kids where they will have plenty to do. Crafts, activities, games, sports, and more! There is never a dull moment with Just For Kids. If you need your child to be dropped off at home when the day is over, call and speak to one of our representatives. We strive to make child care easy for you, providing the attention your child deserves and the safety that you can rely on. The following is a list of some of the schools we service currently. We are always accepting new schools and applications!